Our strengths are the reason why you choose us! We care not just about your dental concerns, but also your general health as a person. Your emotional wellness and financial circumstances are always foremost in our mind, when we discuss your treatment plan with you. We are good listeners, and ask that you are as candid with us as we are with you. From the moment you enter our surgery, you will be made to feel at ease by the smiling greetings from our front office staff. Our Oatley dentist surgery is modern, bright, clean and tranquil to ensure your comfort and privacy. We frequently attend seminars to learn the latest systems and communication skills in order to serve you the best we can. CFS Dental strives to keep abreast of the latest dental science and technology so that we can confidently implement the best treatment for you. We are proud to be constantly learning and reinventing ourselves to be front runners in the provision of contemporary dental care. 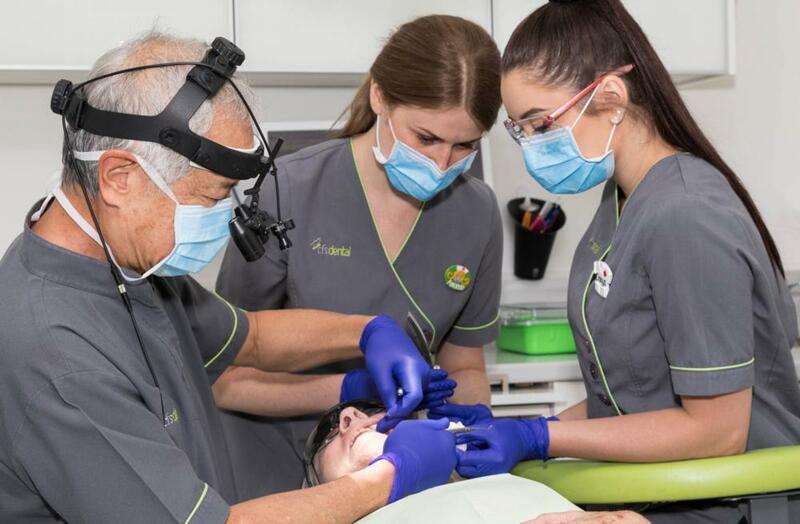 Established as an Oatley Dentist in the 1960’s and has been owned and run by the husband and wife team of Dr. Andrew Ng and Dr. Clarissa Szeman since 1981. We are well liked and respected within the local community, and have grown in strength by the word-of-mouth support of our patients. Welcome to OATLEY CFS Dental, a family run dentist for you and your family. Welcome to CFS Dental, the general and family dental practice of Dr Andrew Ng and Dr Clarissa Szeman. 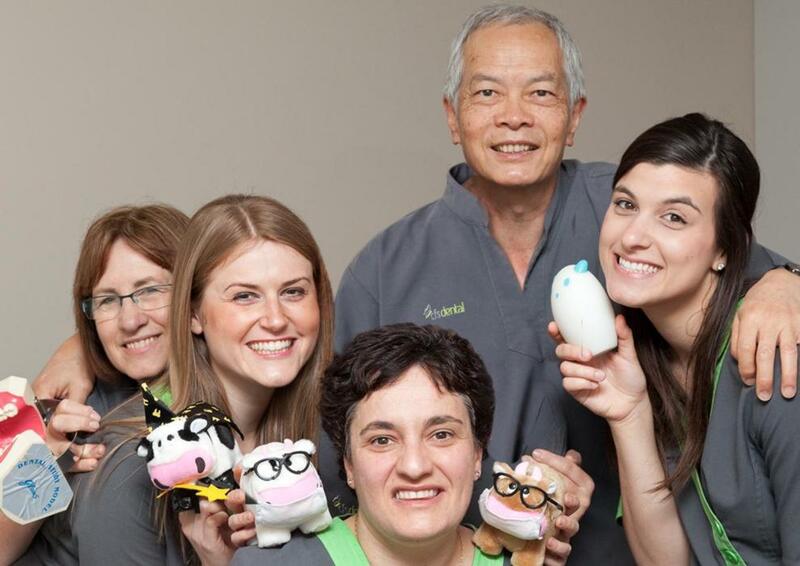 We are so glad you found us and honoured that you are considering us to care for your family’s oral health. Our whole team is focused on providing excellent service with a smile. In fact, this approach inspired the name of our practice – CFS – Caring for the Future of your Smile. Our practice is warm, welcoming and full of smiles – from patients and from our team. We enjoy working together, support and trust each other. We are truly a family-focused practice with a husband and wife team at the helm. We encourage patient feedback, whether it is good, or not so good! We want to know if you didn’t like something, even if it was something minor. We will then focus on improving any flaws in our service. We have 38 years of history in providing quality and caring dentistry to the local community. This means our patients have become extended members of the CFS Dental family. We support one another through the high and low times of our personal lives and share tears and laughter on a daily basis. Very often, we greet each other with warm hugs and kisses. Many patients commented that it is like coming home when they attend to their appointments. We also understand that good clinical knowledge and skills, though very important, are only part of our holistic approach to providing complete services to our patients. Your emotional wellness and financial circumstances are always foremost in our mind. When we discuss your treatment plan with you, we will be honest, caring, thorough and professional in our explanation and will support whatever decision you make with our sincere empathy. We understand that choosing quality dental care requires an investment and our dedication to quality never wavers. We provide the finest dentistry that we want for our cherished friends and family and want you to feel confident in the care you receive with us. We will always discuss all of your options and help you make a choice that works best for you. After all, it is your smile, and we respect your decisions. We are happy to explain what is necessary for you to achieve your goals for your smile and to support you every step of the way. Our dental clinic is privately owned and located in Oatley, NSW. We welcome patients of all ages and look forward to inviting your family to become part of our family here at CFS Dental. At CFS Dental we work hard to make it easy for you! Come in and let our dedicated team take care of you and your family’s dentistry needs. We allocate generous appointment times for each patient to ensure all dental treatments are not rushed. We strive to make each visit a positive experience where you feel valued and appreciated by our professional and caring staff. Same day appointments for dental emergencies because we understand toothaches, chipped and damaged teeth can occur unexpectedly.